Home Blog Report from COP21: A waste of future? This article was published in Greenbiz on Monday, December 7, 2015. 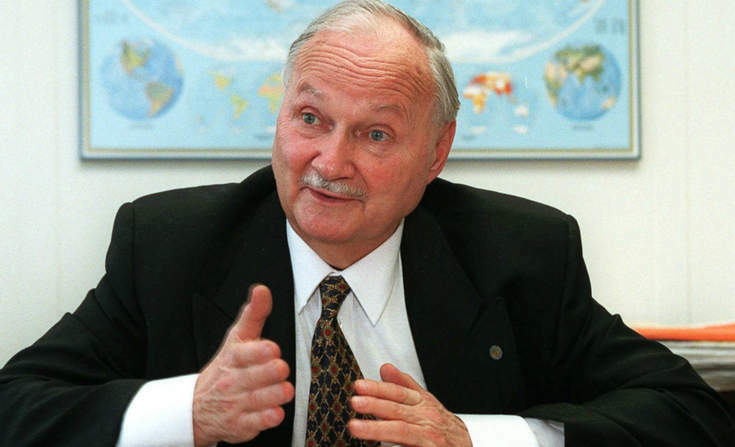 Maurice Strong, here in 1997, organised the 1992 Rio Earth Summit. If you believe this to be a quote by politicians or activists from the current COP21 event in Paris, you have been fooled. Shockingly, these words were part of the closing remarks at the Rio Earth Summit, held in 1992. They were directed to us by Canadian Maurice Strong, who led the way as the first U.N. Environment Program Chief. Strong died last week — just days before the beginning of the landmark climate summit in Paris. Some companies, organisations and countries have started the process of change – but we need to scale and bring in many more leaders. My sense from the short time I have attended COP21 and the people I have talked with indicate that we are closer than ever to start the process of fundamental change to save the future of those we love. I hope that we are right. Advice from Michael Treschow, Global Chairman of Unilever – B. Accountability podcast seriesDid your business get the ‘integrated thinking memo’?